Protect yourself from predatory lenders by looking for warning signs. Don’t be pressured into taking a loan. Survey competing offers and consider speaking with a financial planner, accountant, or attorney before signing for your next loan. • Review your credit history. If your business is less than three years old, your personal credit history will likely play a large part in getting your loan approved. 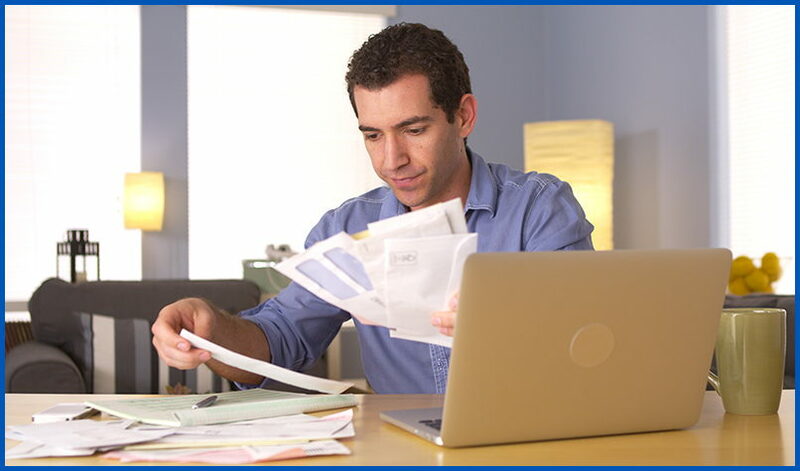 You can request a free copy of your credit report and address any potential problems before applying. • Ask yourself if you really need a loan, and if so, why? Is it to handle daily expenses? Ensure a safety cushion? To start or grow your business? Preparing your financial statement will help you answer these questions. • Have an idea of the type of loan you need. Answering the previous question will steer you in the right direction. Do you need a term loan, or would a line of credit be a better fit? A good Relationship Manager can help you review your finances to determine the final answer. • Have a business plan. The more complete your business plan, the more likely you are to be approved for a loan. Your plan shows the road to success for your business, and shows a lender that you’ve done your homework. • Choose a lender and schedule an appointment. This is an important decision, because your lender can be a financial partner who steers you in the right direction, or one who takes a “hands off” approach. A community bank is a great choice because we have more flexibility to help you achieve your business goals. • Prepare your presentation. There are a few documents that will be required regardless of the loan type or lender. Tax returns, financial statements, business legal documents, your business plan, and bank statements are among the documents you'll likely need. It’s also a good idea to prepare a summary of why you’re applying for the loan and your repayment plans. These steps will help you prepare to apply for your commercial loan. You can always let us know if you have any questions. Discover how one of our Commercial Relationship Managers can help you put together the best financing plan for your business.